The Sunday issue of The Jerusalem Post reports here that the Beit She’arim tombs in Western Galilee have been added to the UNESCO World Heritage List. Beit She’arim, located in the Western Galilee about 20 km. southeast of Haifa, contains a necropolis filled with a series of catacombs built as early as the 2nd century C.E. The site served as the primary burial place outside Jerusalem following the failed second Jewish revolt against the Romans and boast “a treasury of artworks and inscriptions in Greek, Aramaic and Hebrew,” the World Heritage Committee said. “Beit She’arim bears unique testimony to ancient Judaism under the leadership of Rabbi Judah the Patriarch, who is credited with Jewish renewal after 135 C.E.,” the committee added. Beit She’arim is not a biblical site, but it illustrates the strength of Judaism in Galilee following the destruction of Jerusalem by the Romans in A.D. 70, and the failed Bar Kochba revolt in A.D. 135. Facade of the “Sarcophagi Cave” at Beit She’arim. Excavators recovered 135 sarcophagi from this cave, according to Azaria Alon in Israel National Parks & Nature Reserves. Photo by Ferrell Jenkins. Nine Israeli cities are now included on the World Heritage List. Bethany Beyond the Jordan (Al-Maghtas), the traditional place where John the Baptist worked, was also added to the World Heritage List this year. I have visited Bethany Beyond the Jordan four times since 2002, and have seen the various church buildings multiply. In May, when we visited the Jordan River on the Israeli side, we were traveling by car and were able to stop for photos almost anywhere we wished. 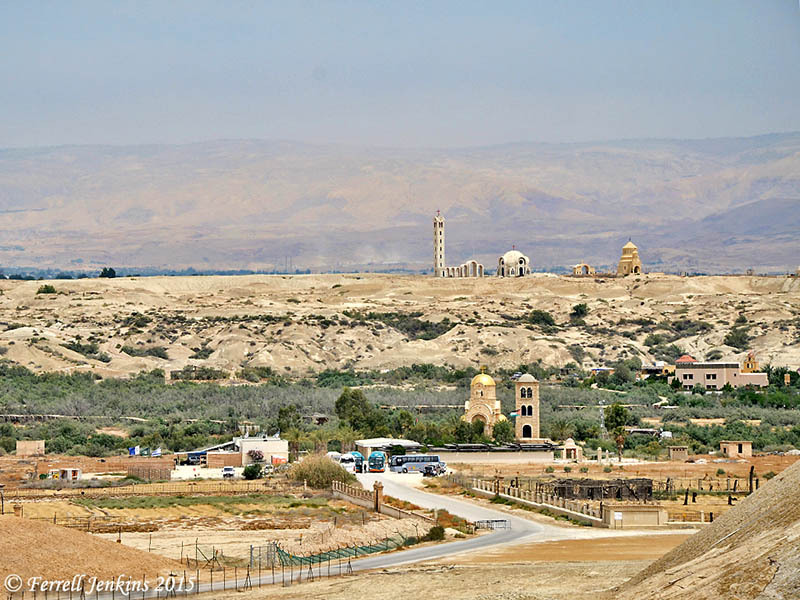 As we left Qasr el-Yahud and began to ascend from the Jordan River valley (the Zor), we turned to see a nice photo of the Jordanian side and a glimpse of most of the new religious buildings. The buses are parked on the Israeli side and the river is not visible. The two prominent buildings seen near the middle of the photo are near the bank of the Jordan River on the Jordanian side. 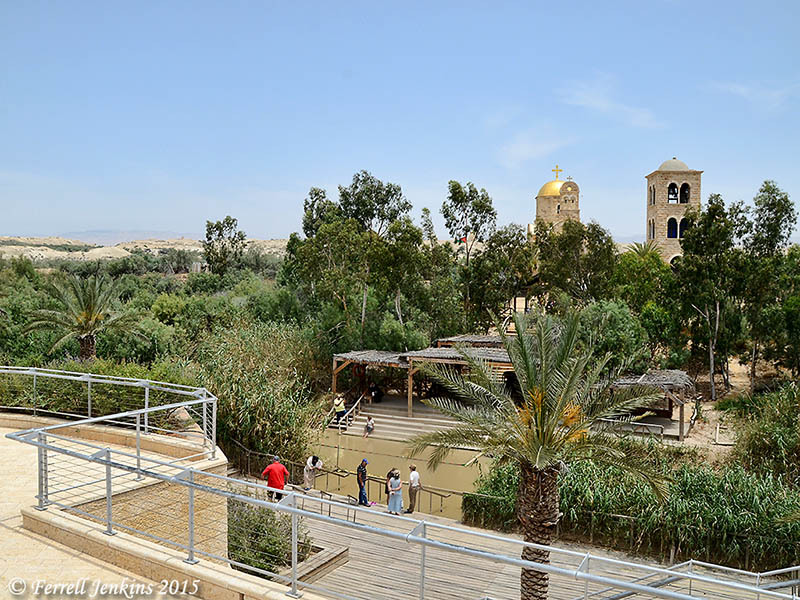 Baptism site on the Jordan River. View east to Bethany Beyond the Jordan. Photo by Ferrell Jenkins. The last photo will provide some perspective. It was made from the Israeli side of the River with a view east toward the Jordanian side. You can see the two prominent religious building mention in the photo above. View from Israeli side of the River to the Jordanian side. Photo by Ferrell Jenkins. Petra is also on the World Heritage Site list in Jordan. How many of these sites in Israel and Jordan have you visited? 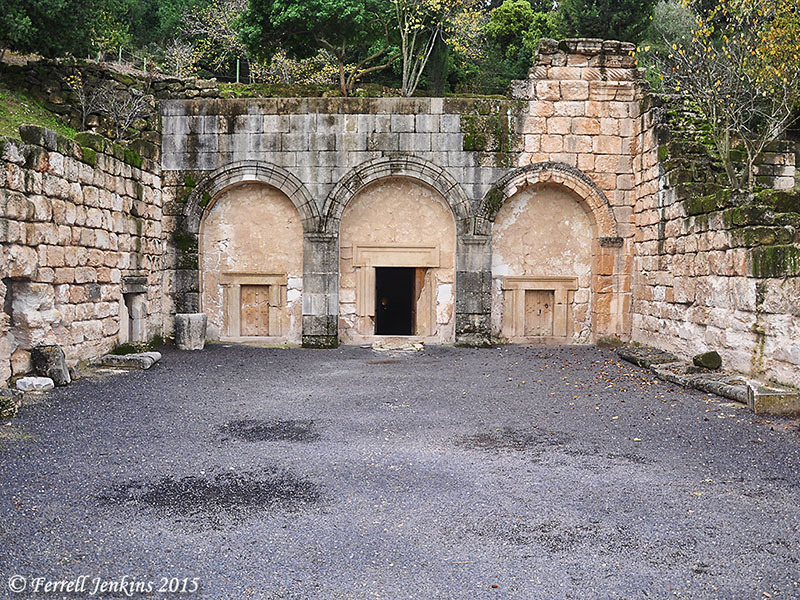 This entry was posted in Archaeology, Bible Places, Bible Study, Israel, Jordan, New Testament, Old Testament, Photography, Travel and tagged Beit She'arim, UNESCO World Heritage List, world heritage site. Bookmark the permalink. Enjoyed reading this posting, as I always do. Actually, I have visited several of the sites listed thanks to my friend Ferrell, and to my son. Beautiful survey of these sites. I’ve seen many, but there are always more to visit. My own favorite is Tel Aviv’s White City!